Wacom Intuos Pro brings new control to your creativity. The sensitive Wacom Pro Pen 2 and slim tablet design enable you to draw in unprecedented detail. 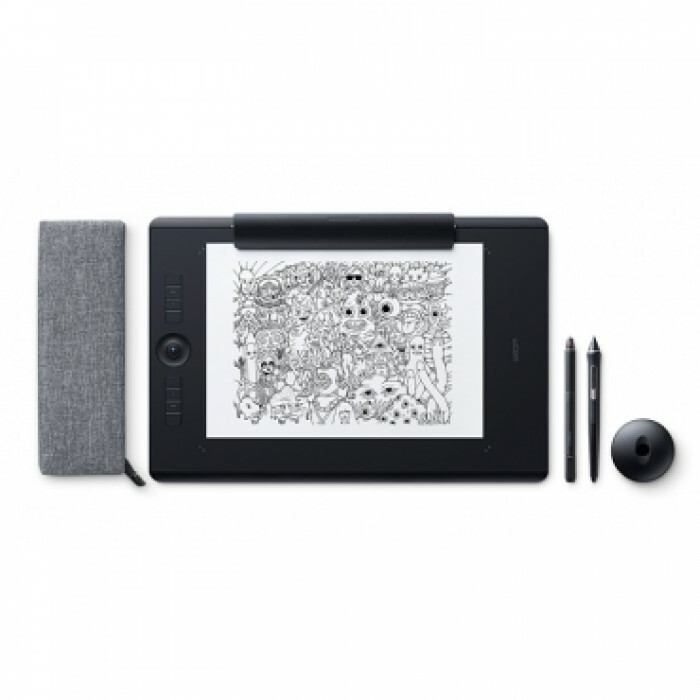 And working with Wacom Intuos Pro Paper Edition, you can draw in ink on your preferred paper with the Wacom Finetip Pen and convert your sketches into digital files - ready to edit in your favorite software. Wacom Intuos Pro comes in both Medium and Large sizes. Each has a smaller, more compact footprint than previous models. Use of premium materials like anodized aluminium and glass fibre composite resin lets us make a pen tablet that feels reassuringly strong but is a mere 8 mm thick. Drawing with our new Wacom Pro Pen 2 feels so natural that it's hard to tell where your hand ends and the pen begins. With precise pressure sensitivity, virtually no lag and natural tilt support, it'll soon become your favourite creative tool.